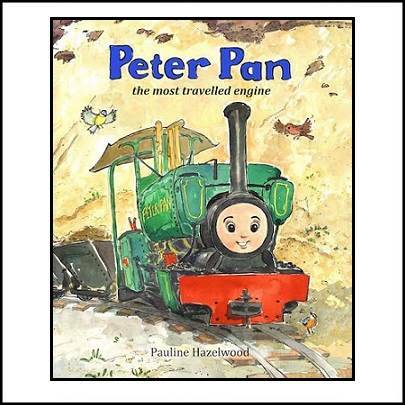 A fully illlustrated 32 page book, that tells the true story of this wonderful little engine that helped to build the roads, was saved from the scrap heap and became the most travelled little engine. Printed in Wales on good quality paper. 25 x 20 cm. The 5th book in this series is about Peter Pan who is a record breaker ! !